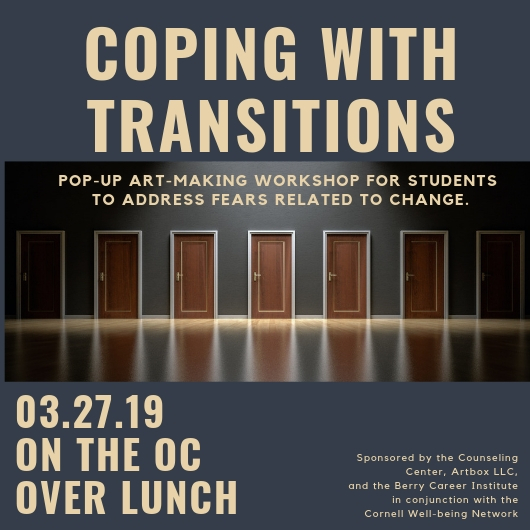 The Counseling Center, along with Berry and Artbox LCC, will be hosting an event Wednesday, 3/27 over lunch on the OC to address stress related to life transitions and change. Third and fourth-year students might relate most to the content, however, any student experiencing stress or fears about the future, unknowns in general is welcome! Artbox LLC will be assisting with an optional art-making component where students can process their own experience and the information provided, or de-stress.